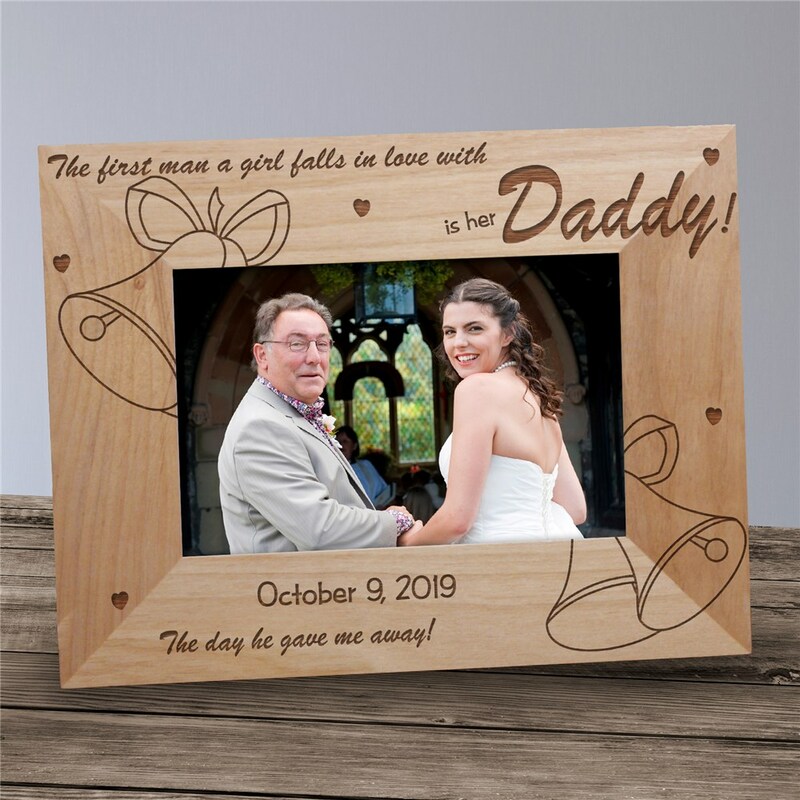 Give the first man in your life a most treasured wedding keepsake he will shed a tear over by presenting your Dad with our Wedding Personalized Wood Picture Frames. Your wedding day is something he will always remember. Our Wedding Personalized Wooden Picture Frames come in three sizes, please choose from, 4"x6", 5"x7" and 8"x10". Easel back allows for desk display. Includes FREE Personalization! Personalize your Wedding Photo Frame with any wedding date. Super prompt shipping, love the frame!!! Very nice quality, was very cute. We carry an wonderful selection of Personalized Wedding Gifts & Personalized Bridesmaid Gifts. GiftsForYouNow.com can provide your entire wedding party with attractive Personalized Bridal Party & Wedding Party Gifts, as well.